I think there can be little doubt that we’ll get a new Indy at some point. I don’t think, however, that it would be wise to get this new actor started by putting him into a reboot movie. Better start small, give him a new Young Indy TV show and turn the movie into a spin-off. 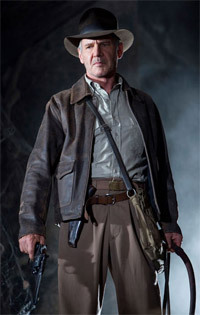 Indy is no Bond or Kirk or Batman: He is Harrison Ford, and as far as I’m concerned, a simple reboot won’t do, unless they first re-introduce the character. Well, before JJ Abrams, Kirk WAS Shatner. I could easily see a new actor as Indy. More surprising to me is anybody mentioning Bradley Cooper as a frontrunner, much less him being considered a weighty enough actor for the role. First off, yeah. Not happening, right now. Second, can’t we come up with a new character? A whole new franchise? Are we so out of fun ideas? As much as I have enjoyed the Trek reboot (I like both versions), Indy could just be left to The Ages. Let it be what it was. Is. Whatever. Previous PostPrevious This is Madness: Vote Hondo or else!